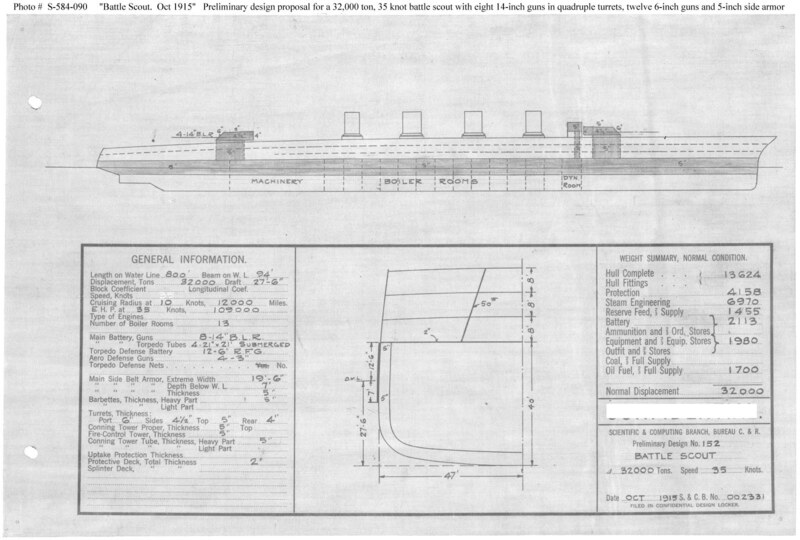 This plan provides eight 14-inch and twelve 6-inch guns, and a speed of 35 knots in a ship 800 feet long on the water line, 94 feet in beam, with a normal displacement of 32,000 tons. This design differs from P.D. 150 (see Photo # S-584-089) in having the main battery grouped in two turrets rather than four, using the weight saved to extend the side armor the full length of the ship.